For 12 days, we are posting Christmas giveaways in anticipation of the day Jesus Christ was born. Our hope is that these gifts will encourage followers of the blog to focus on the real meaning of this season. 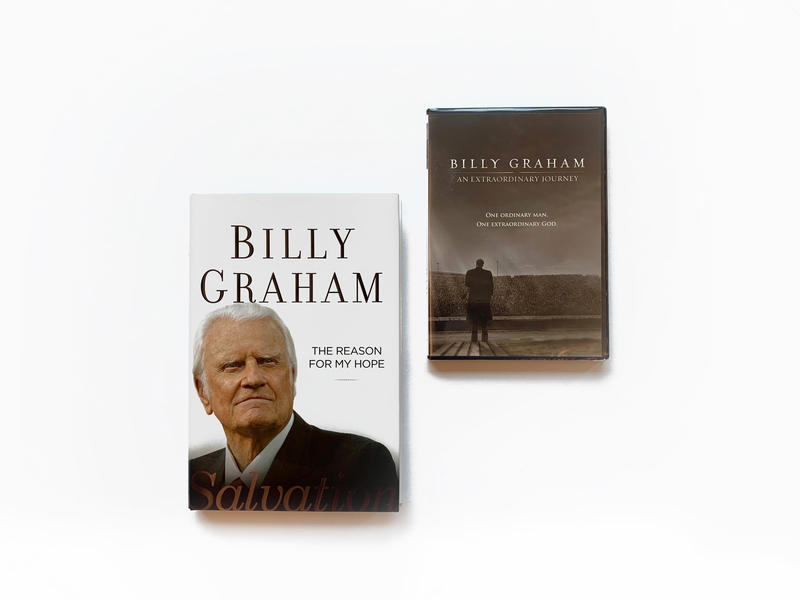 Today’s giveaway includes a DVD of rare historical footage from Billy Graham’s life, along with one of his books. To enter to receive the “Day 3” giveaway, share how Billy Graham, or his ministry, has impacted you. 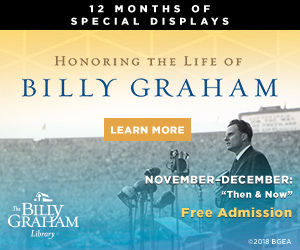 The winner will be chosen randomly from comments received at https://billygrahamlibrary.org/12-days-christmas-giveaways-day-3-2018/ before Wednesday, Dec. 5, 2018 at 11:59 p.m. ET. No purchase necessary. Odds of winning depend on the number of comments received. Void where prohibited. Billy made the Christian faith warm and do-able . He made it fun!! I’d love to win this. Such a great message he left for all of us. Can remember watching him as a small child with family on tv. I remember him as a friend to everyone – and who drew people to Christ. Billy Graham always focused the message on God. It was never about Billy Graham. His whole life is such a great testimony. To see how God has used him to reach the world has been the best gift of all. I see what God has done in his life and it’s because he listen so I’m ready to listen God. What God has done in his life is such a blessing. He use him to reach the world and because of his obedience to God He has bless him. It’s such a gift to be use by God. I need to listen and be more obedient to God so He can use me to tell others about Him. Billy has been a great inspiration and today when I was down and out came to this page and was reminded what I need to do to get back up. Billy Graham made an impression on me at a very young age. His crusades spoke to my “teenager heart”. It encouraged me to do what I could in my home church. I could share the word just like him. I taught Sunday School, taught Bible Study and my favorite joy ways having the children’s sermon on Sunday mornings during worship. I met Mr. Graham in Montreat, NC one year. My grandfather and Mr. Graham went to seminary together. He was so loved and so transparent and for that I received a wonderful blessing. I have never read any Billy Graham’s books, I yearn to know God more through his divine sermons by the the inspiration of the Holy Spirit. I have try hard to get a hard copy of His book here in Nigeria but to no avail. I got a one minute jingle of his message on “grow your faith.” I used it as ringtone. Anytime I hear his voice as my phone rings, I thirst more to hear more of His sermon and to read his books. I know I will surely see him one day in heaven. Love all Graham’s books. I have been reading them for years. 3 weeks ago I lost my only child – Daniel, 37-years-old. I am devastated and the loss is unbearable. I turn to Jesus for comfort. When I was 5 yrs old I was sitting in front of my TV watching Billy and at the end I knelt in front of the TV and ask Jesus into my heart. That was 48 yrs ago, I am so grateful to him for all he did during his life and the many souls he brought to accept Christ as their Savior. My family was going to be on vacation without me and by chance(or God’s intervention) I went on a business trip to Charlotte at the same time. 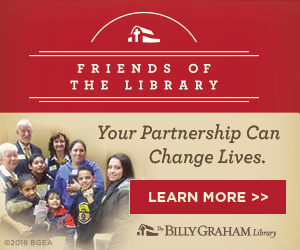 We ended our stay there with a trip to the Billy Graham Library. It was truly a wonderful experience for our entire family to see how his message reached millions. My sons still use our time in North Carolina together as part of their testimony. Billy Graham helped me through a dark time in my life! What a man of God he was. Devoted his life to God and bought many people to Jesus! Luv his books! I never got to see Billy Graham in person, or visit the library, but I have bought so many books over the years for myself, and for others. I would say that he impacted me as a spiritual father. There have been many times I have been discouraged, hurting, confused, or just needed guidance about the Lord, and I would read one of his books. He made EVERYTHING simple when I felt stupid, and what he said was the truth..plain and to the point. I never knew him, but his words have meant so much to my life! I have listened to brother Bill for over 45 years. I will miss him. He had been a steady witness for our Lord and Savior for many years. I seen his ministry one time, in person. I believe it was Niagara Falls, or Buffalo, NY. Maybe back in the 1970s or so. I am looking forward to seeing him in Glory some day. Thank you brother Billy for being Faithful, and full of Grace. The ministry has shown me how there is always a way to share the gospel in any situation/conversation. The salvation message can be very easily shared. Love being involved with the shoeboxes. How Billy Graham has impacted my life is his love for people and his love for the Lord. He was always looking for ways to share the Gospel with people. When he preached the message is was so simple for you to understand and he preached it with a burden. When I needed a message of hope when I was going through a hard situation Billy Graham handed it to me through the preaching of the word or by his books. He was very humble before the Lord and that has really touched and his ministry has made me to want to work harder in my church for the Kingdom and glory of God. My Dad was a minister and whenever Billy Graham was preaching in a crusade on TV, we would watch it. To this day when I hear Just As I Am, I think of my folks and Billy Graham. Billy Graham was one of the greatest men. He did God’s calling for his entire life. Used to listen to him all the time. Sit and have a talk with my mom and dad, give them both a hug. Rev. Graham has been an influence on my life since I was a very young girl. My Mom never missed a crusade that was televised here and I always watched too. I was always amazed at the huge amount of people that went forward to accept Christ. I also was so in awe of Ms. Ruth and her ability to raise children, oversee building a house, all the while being apart from Rev. Graham. I am glad I lived during his lifetime as I don’t believe there will be another one like him. Billy Graham and his ministry taught me the true meaning of love and faith again. How to go the extra mile and walk by faith. Thank you. So thankful to know that the message of Dr. Graham is being continued in many beautiful ways. I was honored to meet Billy Graham twice in Denver. He preached about salvation and I went forward and accepted Christ as my savior at age 7 or 8 that evening. His messages helped me through a horrific childhood and I adopted Billy Graham as my earthly father in my mind. My life has been nourished by the continued influx of christian material available through the BGEA ministry. Emails, Advent devotions and much more have helped me to stay rooted in the truth of Christmas. I have watched Billy Graham on TV and found him to be very inspiring. I have dealt with a lot of health issues on the last 20 years. I have mold biotoxin illness, autoimmune disease of the brain, edema on the brain, PCOS, underactive thyroid, and it has given me HOPE. I have enjoyed watching his preaching segments on TV over the years, reading his books and being inspired to continue to have faith and hope and love despite all of life’s challenges! Thank you for your work! When Billy Graham had crusades on TV I remember I would call my Grandma and remind her and then my Mom, stepdad and I would watch it at home together. There were a few crusades that all four of us went to including my Grandma. My Mom loved listening to George Beverly Shea. The Billy Graham team worked together to make the word of God enjoyable and meaningful and the tradition continues with Franklin and Will Graham. When Billy Graham had crusades on TV I remember I would call my Grandma and remind her about them and my Mom, stepdad and I would watch them together at our house. All four of us got to go to a few Billy Graham Crusades including my Grandma. My Mom always loved listening to George Beverly Shea. 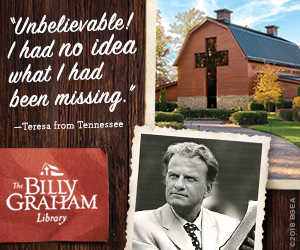 The Billy Graham team made the word of God enjoyable & meaningful & a learning experience. 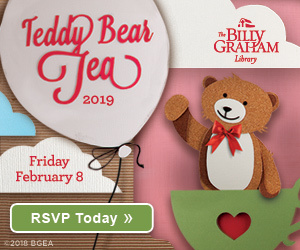 That tradition continues with Franklin and Will Graham as well as the ministry the rest of the Graham family takes part in. Billy Graham impacted my life in an amazing way. Every time I listen to his messages, my heart responds with marvel and awe of God’s wonderful mercy and grace. He preached nothing but the message of God’s love, hope, and salvation. He made the gospel accessible to peoples of tribes, tongues and nations through his crusades. I am sorry I missed this date as this would have been a nice gift to win. Rev. Graham has been in our home my entire life. I was never priviledged to attend one of his crusades but we never missed one that was televised in the states! My Mom and Dad both had so much respect for him and confidence in him. He always amazed me how he could get so much across to you in such a short time. He was truly a man of God and I am glad I was priviledged to live in his lifetime. Billy Graham was always an example of faith in God with a great humility. He showed that you can live a life above reproach and be a strong leader with humility. Billy Graham was a great example to me of a strong leader full of faith, living all in for Christ with great humility. He showed us all that you can live a life fully for Christ and have a life above reproach.